In late May 1940, Allied troops were trapped with their backs to the sea on the French beach at Dunkirk. While the Nazis planned to systematically decimate them, the Royal Navy hastily assembled an armada that set out on May 27, 1940. 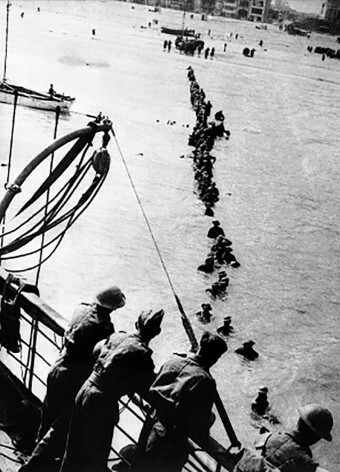 Dubbed Operation Dynamo, a rag-tag assortment of destroyers, rowboats, yachts, fishing boats, barges – anything that would float – made its way to France to transport as many soldiers as possible back to England. Obviously things weren’t going well for the Allies in the spring of 1940. Hitler had invaded Belgium, Holland, Luxembourg and France in May, forcing a gap in the Allied front. They had seriously miscalculated the strength of the German forces, and the British, French, Canadian and Belgian troops found themselves sitting ducks at Dunkirk, at the mercy of the Nazis. 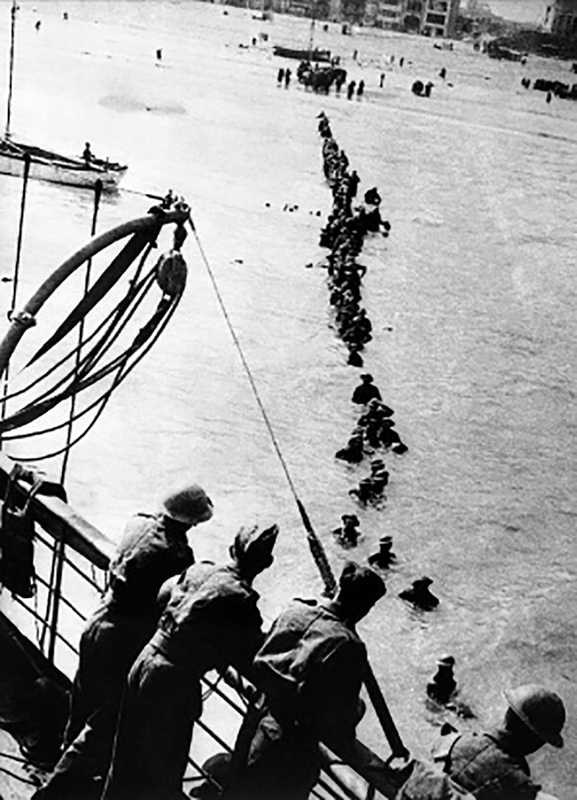 When Winston Churchill ordered the launch of Operation Dynamo, the best he could hope for was the rescue of 30,000 or so troops. But, for reasons unknown (which has been debated for decades), and what turned out to be one of the most pivotal decisions of the war, Hitler never ordered a full-scale attack on the Allied forces at Dunkirk. Even with this almost unbelievable stroke of luck, evacuating the beach was a daunting task. There were no Panzers, but the Allies were still relentlessly dive bombed by the Luftwaffe. The harbor quickly became clogged with ships and boats sunk by enemy aircraft. Larger vessels could not reach the beach because of shallow water, so smaller ones had to pick up the troops and ferry them to the larger boats. Most of these “little ships” were privately owned vessels such as yachts and fishing boats. Many of them were sailed across the English Channel by members of the Royal Navy, but a great number of them were taken over by their civilian owners. One of those who rushed to volunteer his 58-foot ship, the Sundowner, and his skills as a sailor during Operation Dynamo was Charles Lightoller. His prior experience at sea included serving as Second Officer on the Titanic. Lightoller, his son, and their crew rescued 130 men at Dunkirk. Over 1,300 brave nurses cared for the wounded troops in the chaos on the beach at Dunkirk. For nine days, the boats headed back and forth across the Channel, ferrying bloody and half-starved soldiers to food, shelter, medical care, and relative safety. While the initial outlook wasn’t nearly so optimistic, ultimately over 338,000 troops were rescued between May 27 and June 4, 1940. The Germans marched into the city of Dunkirk on June 4, 1940, and about 5,000 British, French and Belgian troops were killed or captured in the process.